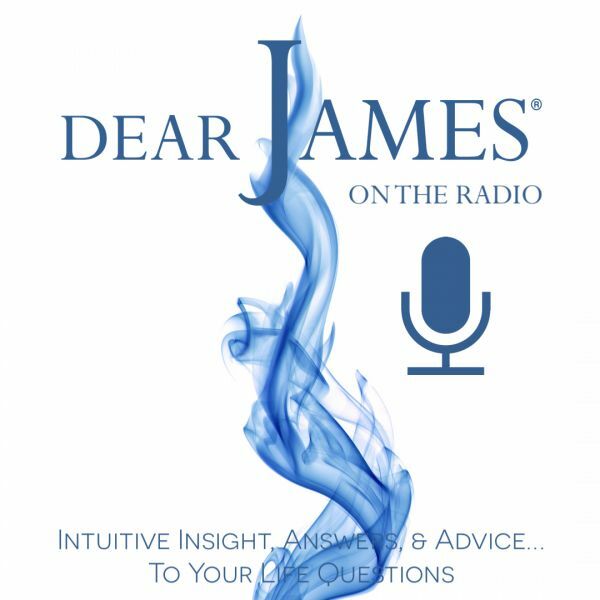 DearJames® is proud to welcome his longtime friend, advisor and Top 100 Physics & Astrologers in America, Sheilaa Hite, to discuss her upcoming Scottish Highlands and Islands Odyssey. We will cover, in-depth, this amazing upcoming spiritual odyssey that will be led by Sheilaa and cover her remarkable gifts in the mediums of Clairvoyance, Tarot & Astrology. Sheilaa is a Tarot Master, profoundly gifted Intuitive and tenured Astrologer. Don't miss this exciting opportunity to listen to our discussion on what will occur on this Spiritual Scottish Odyssey as well as be one of the first persons to reserve a place on this once in a lifetime journey. For the first time in centuries, the Scottish Highlands portal is opening and it beckons me to enter and reconnect to the infinite, powerful energy of time, space and soul memory that spiritually marks this mystical land. I wholeheartedly accept this rare, sacred invitation and I invite you to join me as I journey through the magical Highlands and spiritual Islands of this most ancient, captivating land that gave birth to the fierce, unconquerable spirit of life and the people who still bear the stamp of it on their souls. Join me as we experience the Highlands and Islands of auld that make the heart yearn for a time when souls were free and magic was a way of life; where portals opened and heaven and Earth met; where lives were transformed and hearts and souls were mended. The portal is a sacred gateway to a deeper, more profound space. The Scottish Highlands and Islands are the heart of these sacred portals in the northern hemisphere. Through entering them, we can commune with, heal, forgive and reunite the fragmented parts of ourselves; we can become whole again. Being a Spiritual Hedonist simply means that you’re honoring your Divine right and sacred responsibility by living in joy, acknowledging your value, coming from your heart and being of service and that is the highest and most profound form of spirituality that we can practice. When your heart is focused on joy and happiness, you are closest to and in direct communication with the Divine. You effortlessly become a magnet for your good and you automatically attract the very best to yourself. You and this sacred land are co-creators of the reawakening and reconnection of your heart, soul and spirit. Come along with me and let the experience of this Odyssey engage, delight and heal you. The successful encounter with your own Divine path happens on many levels-- the physical, mental, spiritual and emotional. Through music, stories and our own soul-deep experiences, the paths that connect the ancient realms and the world of today will open and transport us back to the essential truth of our soul’s journey throughout our many lifetimes. The structure of our Odyssey ensures that our sacred journey will be a fulfilling one, revealing and reconnecting us to the wealth of our life’s power and purpose. Each day and experience will provide opportunities for a soul-evolving shift through meditations, nature walks, interactions in mystic places, ceremonies, creating personal talismans and daily numerological, astrological and Tarot readings as we reconnect ourselves to the sacred part of life with grace, glee, solemnity and wonder. Like a treasure map or Tarot spread we will unveil the hidden knowledge of our life’s purpose by using the infinite power of Sacred Geometry, the energy of ley lines and our soul’s desire and intention to live in harmonious balance. By so doing, we will each explore, discover and release the karma of our past as we move onto a new, lighter pathway of self-expression, appreciation and joy. Our Odyssey goes beyond the usual tourist track. With grace and elegance touching our souls and reigniting our true potential, we’ll travel the Highlands and Islands in chauffeur driven coaches, participate in soul-evolving ceremonies and have plenty of free time to relax, shop and just be. We’ll begin our soul-evolving journey in Scotland’s venerable capital city, Edinburgh. We’ll make our way to the renowned Rosslyn Chapel, built by the Knights Templar to house the Holy Grail. There, we’ll hold the invocation ceremony of our Odyssey, conducted by Sacred Geometry Master, Dr. Jan Seward, thus activating the cycle of renewal and transformation that culminates on the Isle of Iona. Next, we visit the Praying Hands of Mary Standing Stones, a natural stone formation that is a key point on the powerful, mysterious ley line map of Scotland. We’ll journey to Skye, the ancient mist-veiled isle of deep lochs, beautiful peaks and rainbows, where we’ll spend time at the magical Fairy Pools and other ancient sites. Here, we can relax and reflect on our Odyssey and if you’re so inclined, you can revitalize yourself with a ‘wee dram’ as you tour the Talisker Distillery and visit the charming, craft-filled shops along the waterfront. On our way to Skye, we’re reminded that in every grand adventure, there is a beautiful old castle. Ours possesses a rare and dream-like quality in a romantically mist filled setting. 13th century fortress, Eilean Donan, ancestral home to Clan MacRae, stands guard at the intersection of three lochs and our visit to this stunning stronghold will further awaken the memories of the majesty of our souls. From Skye, we’ll travel to Oban by way of the breathtakingly beautiful scenic ‘road to the isles’ (where the Highlander and Harry Potter films were made). At Oban, we’ll cross the seas to the Isle of Iona. Described by the ancient Celts as the ‘thin place,’ the place where the veil between Heaven and Earth is lifted and where mortals might catch a glimpse of the Divine. Iona is where the major feminine/masculine ley lines meet under the constellations Scorpio and Libra, thus assuring us of a harmoniously balanced and profoundly healing experience of transformation and rebirth during our full moon meditation and ceremony. As part of the ceremony of transformation and rebirth, we will have the opportunity to visit the legendary hill of Dun I, where on a clear day, you can look out over the Hebrides. Just below the summit of the hill is the Well of Eternal Youth. We can drink from it and experience the healing, forgiveness and renewal which come from these waters. Here, at the Well, it is said that God meets you and takes from you the burdens that you carry. Let the spirit of Iona take you by the hand and lead you to a new beginning as you participate in allowing yourself to be touched by forgiveness and renewal. In this sacred place, you’ll feel the weight of lifetimes lift from your shoulders and you will, at long last, know the power and joy of freedom. Afterwards, we’ll return to Oban on the mainland and continue on to Falkirk where we’ll take in the soul stirring installation of the ‘Kelpies,’ a modern homage to the fabled shape-shifting water horses that once lived in Scotland’s ancient lochs. Leaving there, we make our way back to Edinburgh, where we’ll have free time to explore this esteemed old city and reflect on the success of our reconnection to our soul’s power and our life’s purpose. On our last night in Edinburgh, we’ll gather together for a festive farewell dinner. My life is an ever changing, soul evolving, joy-filled, transformational odyssey and when you accompany me on a journey like this—your life changes! Join me and share in my magic as you discover your own! As the person who coined the phrase and wrote the book, The Spiritual Hedonist, I know the different ways of consciously choosing to live a life of class, grace and soul awareness. As a result, I understand that Spiritual Wisdom can only come about if you’re able to fully experience life, fun, creativity and the joy of connecting to your senses. Life is a journey; I know the route – I am one of only a handful of people in the world permitted by the British government to enter and conduct ceremonies in the sacred ‘inner circle of stones’ in Stonehenge, as well as being the first metaphysician authorized by the city of Malibu, California to teach in their facilities. Arrive Edinburgh. Check into hotel. Odyssey invocation ceremony at Rosslyn Chapel. Overnight in Edinburgh, Lunch on your own. Group dinner at a local restaurant. We’ll journey to the naturally formed standing stone formation of the Praying Hands of Mary and then to Eilean Donan Castle. We’ll spend the night on to Isle of Skye. Dinner on our own. On Skye, we’ll visit several powerful places, including the Fairy Pools. Afterwards, we’ll have free time and can spend the afternoon and rest of the day on our own exploring Skye and perhaps visiting the famous Talisker distillery. Dinner on our own. We’ll travel to Oban by way of the breathtakingly beautiful ‘road to the isles’ and spend the night there. Dinner on our own. This morning, we’ll take the ferry to the islands of Mull and Iona. We’ll visit the ancient abbey and chapel and climb the legendary hill Dun I and cleanse ourselves of the pain of the past at the healing, mystical Well of Eternal Youth. Later on that evening, we’ll culminate the cycle of renewal and transformation that we began at Rosslyn Chapel. We’ll dine together and reflect on this most significant passage in our life’s journey. When we return to Oban, we’ll journey to Falkirk to see the magnificent installation of ‘Kelpies,’ a modern homage to the fabled shape-shifting water horses that once lived in Scotland’s ancient lochs. From there, we’ll return to Edinburgh. Dinner on our own. Today is our free day in Edinburgh and we can each spend it however we choose. In the evening, we’ll gather for a lovely farewell dinner in one of Edinburgh’s best restaurants. We’ll leave this beautiful land for our return trip home. Why Go There = the life changing experiences, the destinations, the events that become a portrait in this journey of self-discovery for each participant, the fun of it, new people and places, the results; each destination, each event is a marker of your progress on this powerfully liberating journey, the realization that using your resources for your soul is as important to your development and life as eating, the knowledge that you are and you can create magic. This is the purpose of life; to get what you want. Please Note: We begin the 1st experience of our Odyssey at 1:00pm in the hotel lobby as we gather to leave for the invocation ceremony at Rosslyn Chapel. It’s important that you coordinate your arrival at the hotel so that you don’t miss the scheduled departure for Rosslyn Chapel. Incidental drinks-- wines, liquors, beer, bottled water, soft drinks, etc. Value of the experience – Priceless! A naturally gifted Intuitive with an accuracy rate of 95-100%, she was born with the ability to 'see' and interpret information from the ethereal plane far beyond most in her field, bringing practical solutions to both spiritual and worldly issues. Her course—'The Tarot: A Counseling Tool for Psychologists'Ó makes excellent use of her skills as a teacher-diagnostician and has garnered high praise from the professionals who have consulted with her. Acknowledged as "original," "charismatic" and "brilliantly insightful”, she insightfully uses the Tarot, Astrology, Palmistry, Psychometry, Dream and Symbol Interpretation, Mediumship, Channeling, Meditation, Healing and Intuitive Counseling as she helps you understand and fulfill the meaning and purpose of your life. As one of the foremost life-skills mentors alive today, she is also a Certified Clinical Hypnotherapist, Past Life Regressionist, Certified Mentor/Life Coach, Healer, Motivational Speaker and Author. Although she accepts the title of ‘psychic’ (because of the public’s limited understanding of the Intuitive Arts), Sheilaa is an Intuitive because the power of her abilities stems from her highly developed intuition, which is directly connected to the source of all knowledge—The Creator. Through her powerful connection, she manifests Magic, Miracles and Joy for her clients and herself. One of only a handful of people in the world permitted by the British government to enter and conduct ceremonies in the sacred ‘inner circle of stones’ in Stonehenge, she is also the first metaphysician authorized by the city of Malibu, California to teach in their facilities. As a Master of the Sacred Intuitive Arts, she naturally understands the true function of energy and knows how to powerfully work with it to help others influence their successful outcomes. Her international client list numbers in the thousands and includes TV, movie and sports celebrities, politicians, homemakers, business professionals and members of the clergy and military. Her articles and columns have also appeared on-line, as well as in numerous national and international publications. Through her company, Odysseys—Grand Travel Experiences for the Heart, Spirit, Body and Mind—she also conducts tours and leads retreats to inspiring, beautiful places throughout the world. As a catalyst of the soul and mind, her extraordinary ability to recognize, integrate and align the energies of the four creative realms have made her mastery at teaching others how to turn “lead into gold,” legendary. By synthesizing the expertise of her lifetime, extensive practical experience, sharp business acumen, innate intelligence and spot-on intuition, she uniquely unites and ignites the key elements that help guide her clients and students as they learn the modern-day alchemy secrets of making their dreams come true. “I love my work, I love that I’ve been chosen to do it and I love that I’m good at it. Helping people to be happy and feel empowered makes me happy.